Soar over the incredible Victoria Falls during this 13-minute helicopter flight. 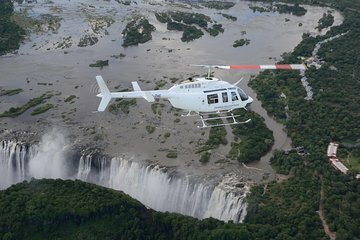 Depart from the helipad site in the town of Victoria Falls for this scenic helicopter tour to get a bird’s-eye view of this magnificent waterfall. Take in the amazing views as you circle the falls a few times to get the best viewings and angles for your photos and videos.